*Don’t worry…there are not that many movie spoilers below. “Space Jesus…” That was the nickname my friend gave the man of steel as soon as we exited the theater at 3am on June 14. Yes, I was crazy enough to go see the movie at midnight, but that is beside the point. A conversation ensued among the five of us about all the Christ imagery used in the film. 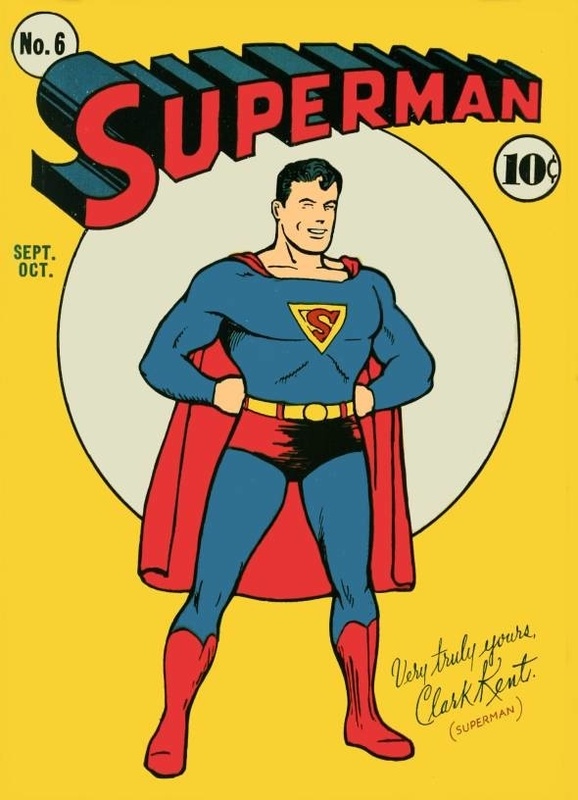 Kal-el (Clark Kent/Superman) was born in a unique way on Krypton. It wasn’t a virgin birth, but the parallel is still there. He was sent by his father to earth as a savior to bring hope. He grew up in obscurity. There was a scene in a church where Clark was talking to a priest and the stained glass Jesus behind him was practically sitting on his shoulder. 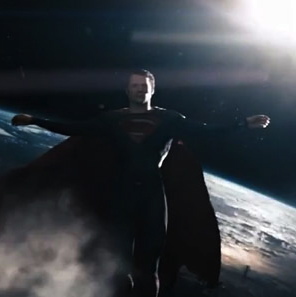 At one critical point in outer-space, Kal-el was told by his real father (Jor-el) that he must save the world and he began his flight back to earth in a slow-motion-explicitly-cruciform-shape. I could keep on going, but it is clear that the film makers want us to catch the association they are making between their superman and Jesus. And why not? This association has long existed in the minds of comic book fans…including myself…that is until recently. As the release date for man of steel approached and more and more trailers released…I found myself thinking a lot about why we like superheroes so much, and specifically about why superman has really fallen from the heights of his popularity throughout the years. After all, the man of steel reboot itself has been marketed as an update of the superman mythos with a greater appeal to todays audiences. What makes superman different from the other characters we love and why the need for the makeover? Many of you may not care or think that putting this much thought into a comic-based movie is a foolish waste of time, but I think within these questions we discover important truths about ourselves. I think I discover my desire to be my own savior. Superheroes like batman, spider-man, the black-widow, the hulk, the x-men, etc. appeal to a wide audience, and the reason is because we find them easy to relate to due to their flaws. Each of these characters has faults or a dark-side. They are far from perfect and yet they still get to be the hero. This appeals to something deep inside me. I am able to put myself in their place and imagine that I am the one who saves the day. I love a broken hero because that is the only type of hero I could ever be. The good ol’ man of steel is not like this. We find it difficult to relate with him because he is too perfect. He has every power, perfect character, perfect hair, and on and on. His only weakness has historically been rocks from his true hometown…again, not relatable. In the truest sense, superman seems like a savior coming from the outside to rescue us. The only place for us in the superman mythos is to imagine ourselves as the one being rescued…we could never be the rescuer in the red cape. I believe that is why the new Man of Steel movie really goes out of the way to connect Kal-el with humanity. In more or less words it is said that he needed to be “truly human” so he could serve as a bridge between Kryptonians and humans. There is a much greater emphasis on his relationship with his earthly father, Jonathan Kent, than with Jor-el. Even the title of the film emphasizes his ability to identify with humanity…the first word is MAN. Yes, he has amazing strength and abilities, but they want us to think of him as a MAN of steel. Here is a superman that we can hopefully identify with…a savior we can hopefully accept so that he can fly back to the heights of his former fame. That’s all well and good for the world of comic book storytelling…but in reality…is this what we need? Do we need a MAN of steel? We want so badly to save ourselves and our make-believe media keeps trying to tell a story where that is actually possible. We, humankind, can become the hero/heroines we need to be and, despite our character flaws, save the day. But is that truth? Can we become men/women of steel? Is that even what we need? We don’t need a man of steel…we need a God of flesh. God himself took on flesh. He could identify with us in every way, yet he was without sin. He stepped into this world not made of steel, but made of skin. He was tempted, he cried, he sweat, he bled…he died. He took on our greatest enemies…the enemies within that corrupt, and the enemies without that kill. He took on sin, death, and the devil…and defeated them all by rising from the dead! He alone is our savior! 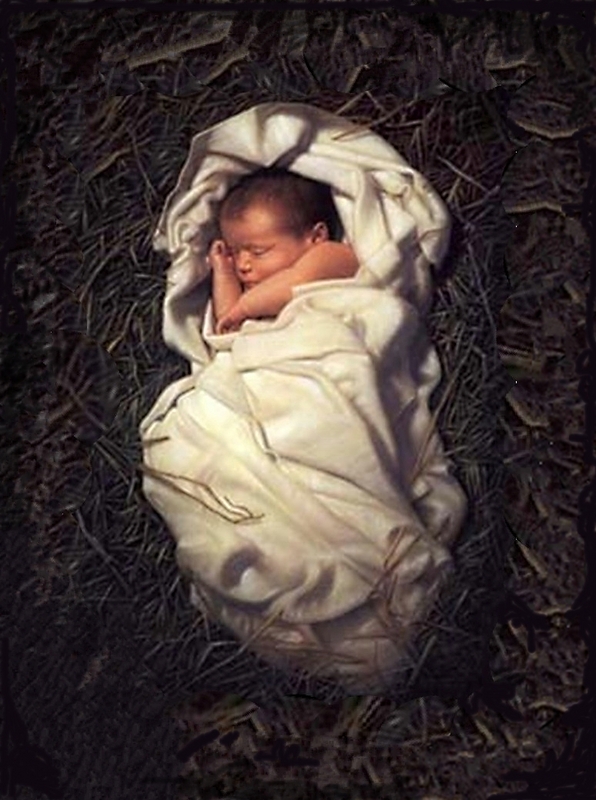 The one who knows all our weaknesses for he was born, truly human, yet he was and is truly God. He was and is the God of flesh. *PS – I enjoyed the movie. Not the greatest film ever, but I thought it was worth seeing once in the theater. Totally agree – worth seeing once in theaters. There are so many movies with better spiritual parallels than Man of Steel (I listed at least five), but I’m not sure if I can think of any movies that did the *Messiah* theme better. Can you? It’s just so tricky to pull off. You’re right. Plenty of movies attempt the Messiah theme, but few (if any) actually pull it off. Something like “The Lion, the Witch and The Wardrobe” gets close…but that is specifically designed to be a Christ parallel. The movie I thought attempted the messiah theme in an interesting way was the first Matrix film. I’ll definitely go check out your blog.